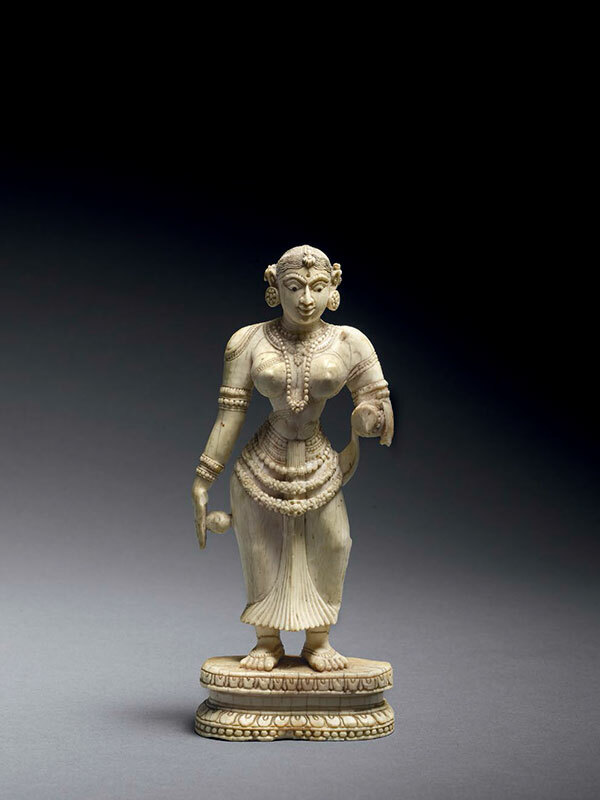 A finely carved ivory figure of a lady, standing on a stepped, oval base. Her left leg is slightly bent, giving the figure the impression of moving forward. Her bare feet stand slightly apart. She has a delicate face with the mouth closed and a slightly smiling expression. The straight nose splits into long curved eyebrows, framing the almond-shaped eyes. Her ears are adorned with large disc-shaped earrings. Her hair is neatly combed and adorned with a jewel. A magnificent heavy braid of hair hangs down the entire length of her back. She has a straight posture with her left arm bent forward, the end part of which is missing. Her right arm is extended straight down next to her body, the delicate hand holding a ball that is attached to her lower hip. She wears several necklaces and armbands, both around her wrists and upper-arms. 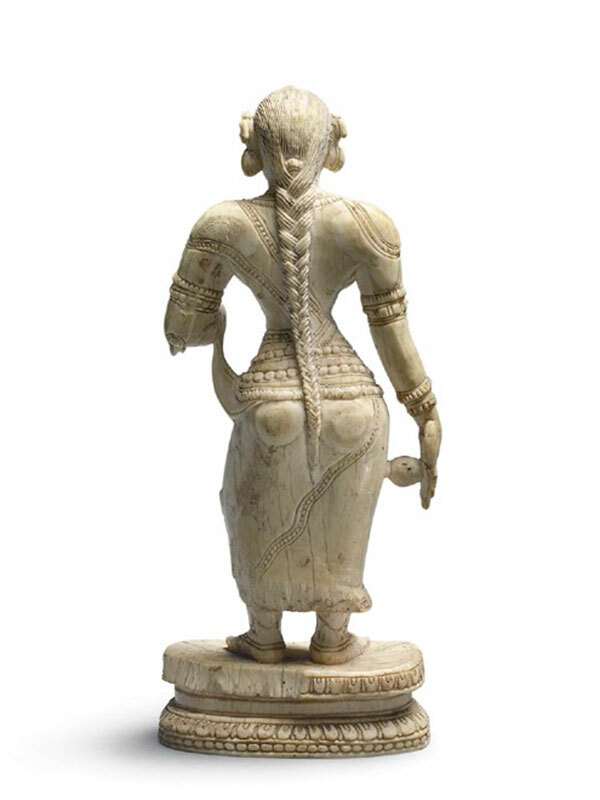 An elaborate dhoti (loincloth) is folded around her waist and flows down between her legs into an intricate fan shape. The ivory is of clean white tone, the back slightly darkened.